Welcome to MOMpreneur Monday on MBMom, highlighting businesses and brands that were founded by female entrepreneurs and fellow Florida Mommas! Today’s featured MOMpreneurs are…Samantha Bense and Kristy Wexler, co-founders of the South Florida chapter of aquaBelly®, water fitness for Moms & Moms-to-Be. A great pregnancy aqua aerobics workout! The concept of the fitness program was born while Kristy and Samantha were teaching swimming lessons to young children. They noticed that expectant mothers had a hard time keeping up with their toddler-aged children poolside. This observation coupled with Kristy’s personal experience with high-risk pregnancy (i.e. being permitted by her Perinatologist to exercise in the water because of the buoyancy and forgiving environment– she now has 3 little ones!) created the foundation of aquaBelly®. Kristy and Samantha obtained their exercise credentials and soon offered water fitness classes to Moms and Moms-To-Be in Boynton Beach. In 2012, aquaBelly® expanded its target demographic to include classes like aquaBooty™, aquaBelly Baby™ and aquaGrand™ which not only focused on Moms and Moms-to-Be, but Active Adult Women as well (I like to call them the #modernbocagrandmoms). Now, aquaBelly® is a national fitness and healthy living brand. MBMom personally took an aquaBelly Baby™ class earlier this month with #dailybabyavery and we had a great time. 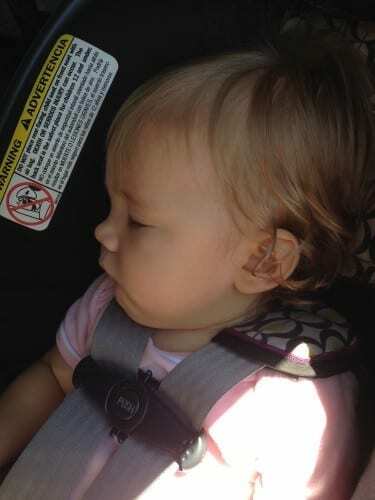 Avery probably had even more fun than I did as evidenced by the 2.5 hour nap she took after class! aquaBelly® classes are unique because they are all conducted in the water (heated pool- check!) although you don’t need to know how to swim. Classes mix yoga, pilates, dance and aerobic exercise to give students a well-balanced, full-body fitness experience each time. I wore a Lycra exercise tank and shorts in the pool. I didn’t have water shoes, but I would recommend getting a pair for a better grip on the pool floor. Babies must wear a swimsuit and swim diaper. A cute poolside lounging outfit is optional. This particular class would be great for moms easing back into exercise post-baby. It is nowhere near as high impact as a Flywheel or Stroller Strides class which is especially helpful when you’re just starting out. #dailybabyavery is very “squirmy” at her 11 months of age, so keep that in mind since the goal is to not only bond with your baby in the pool, but use him or her as a resistance weight during the class. At least she looked adorable in her little swimsuit (and she clearly loved the colorful puppet Samantha used to demonstrate all of the moves in class)! I also really appreciated that the aquaBelly® instructor kept a close eye on the form of each student. Everyone received individualized attention in the safe, low-impact arena while getting a good workout (without the sweat). Did you know water provides 12x the resistance of air? I always like to ask my fellow Mompreneurs the tough questions: why should Modern Boca Mom readers participate? 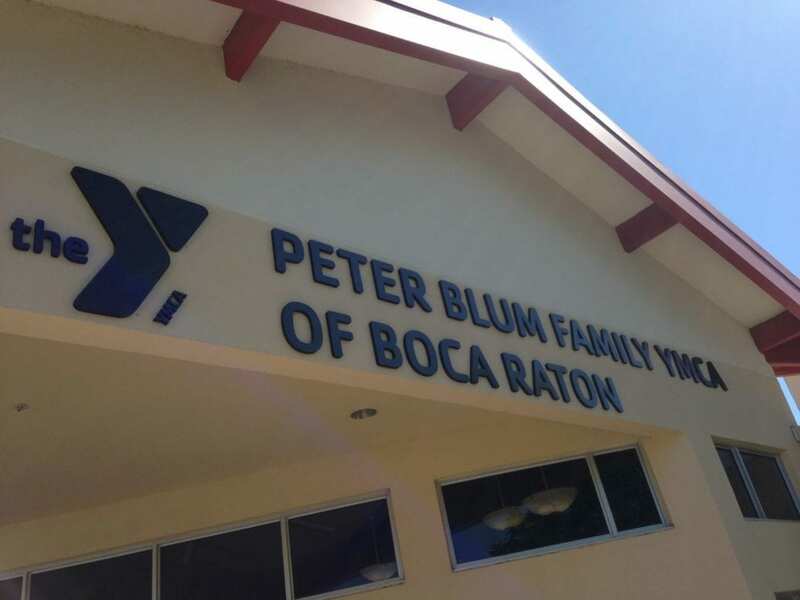 Classes are conveniently located at the Boca Raton Peter Blum YMCA (no membership required), at the beautiful Canyon Springs Community and will soon be offered in Delray Beach and central Boynton Beach. Tons of class times are available to fit any schedule and prices range from $15-$17 per class. Kristy and Samantha even offer fitness evaluations, coaching, nutrition and meal planning, breast feeding coaching, as well as instructor training in case you have interest in becoming an aquaBelly® teacher! Samantha and Kristy also LOVE working in South Florida. I definitely plan to try an aquaBooty™ class in the future sans #dailybabyavery. I’d like to fully experience the resistance that the pool can offer. Plus, working with Samantha is a lot of fun! Great news MBMoms! If you’d like to try any aquaBelly® class for yourself, just mention “Modern Boca Mom” and your first one is FREE! Contact aquaBelly® directly by clicking HERE. Disclaimer: MBMom received a complimentary class for this review. As always, all opinions and comments are my own.